The benefits of a home irrigation system are limitless. Not only do they help maintain healthy, beautiful landscapes, but they offer a convenience most homeowners strive for. 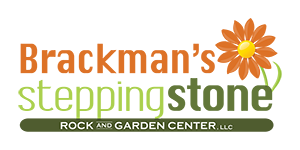 By letting Brackman’s Stepping Stone install your home irrigation system, you can save time and money, and help the environment by conserving water. Sprinkler systems not only increase your homes value by adding an additional benefit to new homeowners, it also saves you money by properly maintaining your landscape. The American Landscape Association says that properly maintained landscapes increase your home’s value by as much as 15%. This is more than any home improvement you can make. Home sprinkler systems, when properly installed and operated, will provide your lawn and garden with the appropriate amounts of water, avoiding over or under watering, and not creating runoff. There is no easier or more cost-effective way to beautify your home and save yourself both time and money. At Brackman’s Stepping Stone, our irrigation professionals can design a custom irrigation plan for you, to fit your specific needs, whether it is lawn irrigation or landscape specific. We use Rain Bird control systems, which have been proven time and again to be one of the best irrigations systems. We can also install rain shut-off devices that insure your plants are not over-watered during the rainy periods. 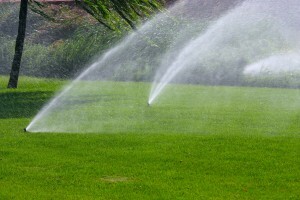 For anyone who values there lawn and gardens as much as we do, home irrigation systems are a must. So, put away your garden hose and let Brackman’s Stepping Stone do your watering for you – automatically! You’ll have greener grass, healthier plants and much more free time to smell the roses.